What do you need to conduct power research? Find a crew to work with! Research is easier together! Consider pulling in friends or finding folks working on a campaign to connect with. When you have a group together consider creating a research pod. An internet connection and computer access. There are numerous publicly available, free databases that you can use for your research. You will need access to the internet to use most of these. Some of these include the SEC’s EDGAR database for information on publicly traded companies, OpenSecrets for campaign finance and lobbying information, and GuideStar for information on non-profit organizations. Relationships. Power research does not create change in a vacuum. Its power comes from the context in which it is used. Reach out to activists and organizers working on the issues you’re researching who will help inform your research strategy. Relationships with reporters or other journalists can provide tips, troubleshooting, and a possible platform to share your research. A way to share your findings. Where will you put everything that you find? Do you want to hand it over to a campaign or make your information publicly available with a website? In Philadelphia, an independent group of researchers identified the Philadelphia-tied business executives and corporations cozying up to and benefiting from the Trump administration. They created a virtual card deck of these collaborators, mapped their business locations, and published their findings on PhillyWeRise.com, a collaborative website for activists and organizers. In St. Louis, a group was focused on public education about coal giant Peabody Energy’s confusing bankruptcy proceedings. The group researched the people, corporations, law firms, and Wall Street financiers who played major roles in Peabody's bankruptcy proceedings and created a detailed story map called “Who’s Who in the Peabody Energy Bankruptcy.” Then they took their digital map and created a printable zine to handout to St. Louis residents. Tenacity. This work can feel daunting even for seasoned researchers! But we can get a lot done if we are intentional and work together to build a shared analysis and fight. We can use power research to reshape the popular narrative around certain issues, identify points of leverage that we have over powerful networks, and create moments for our movements to shift power from them to us. But first we have to identify what we’re up against! Who benefits? Who gets the things that are valued in our society despite oppressive conditions for the rest of us? Who governs? Who makes the policies that we live under? Who wins? When there are arguments over issues, who wins them? Who has a reputation for power? When we think of power in our region who immediately jumps to mind? By finding answers to these questions, we can tell stories about who is benefitting, governing, and winning from certain policies and propose new stories about who should be. 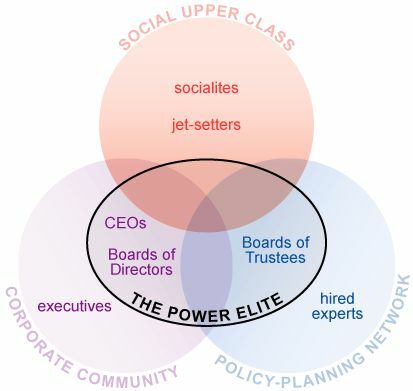 Who are the powerful people, boards, committees, etc. that control the conditions of your concern? How do the power networks we uncover overlap with our targets? Are there other campaigns that share your targets? Where can we identify leverage within these networks? Once you have identified your targets, you'll want to investigate their networks. See the guides in the following section for guidance on how to investigate powerful corporations, organizations, and individuals.